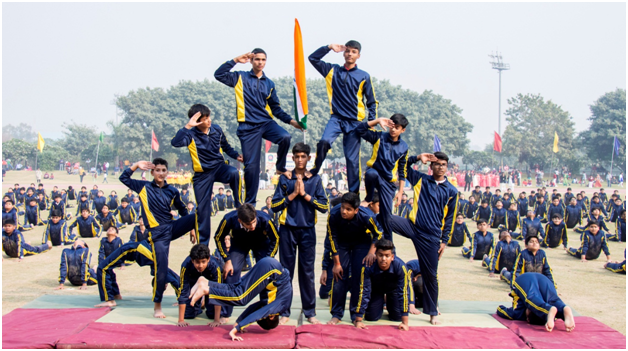 Vishwa Bharati Public School, Noida organized its Annual Sports Meet on 8 th December 2018 at CWG Complex,(Football Ground), Akshardham, New Delhi as venue to display their physical power and sporting spirit. 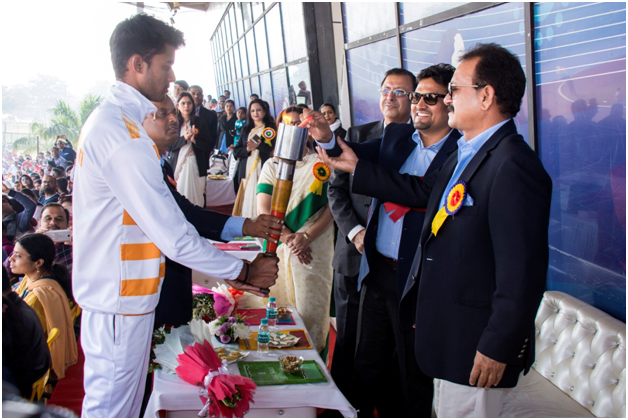 The Guests of Honour were Arjuna Awardee Shri Madan Lal (Former Indian Cricketer and National cricket coach) and Dronacharya Awardee Dr. Satyapal Singh (Indian Coach-Para Sports, Athletics) The mega event was also witnessed by the esteemed Management Members of the school. The event commenced by a welcome song followed by the lighting of the torch. March Past by the senior students led by Head boy Ayush Razdan and Head girl Pragya Srivastava was a delight to watch. Shri Madanlal who took the salute, declared the meet open. Band display by the School Band mesmerized the audience and weaved a spell of competitiveness in the air. 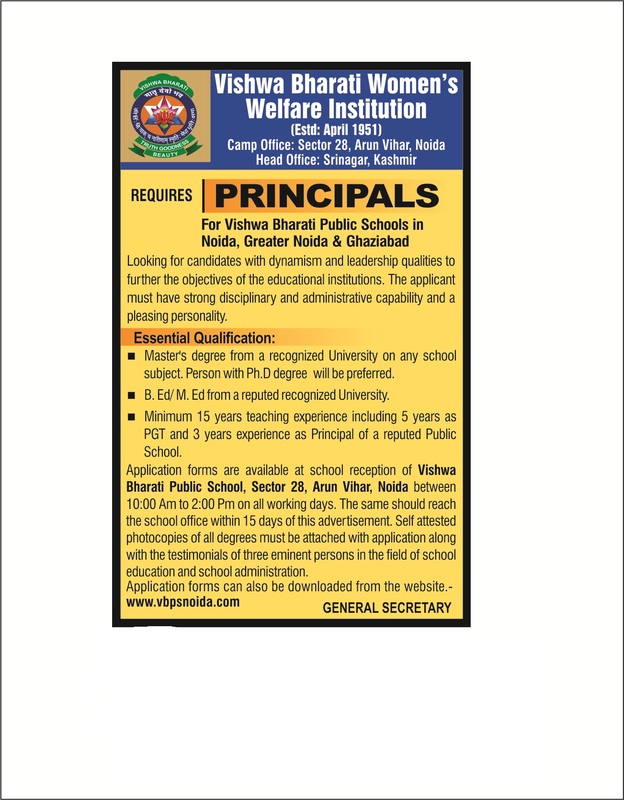 Principal Ms. Girija Mujoo presented the school report. A cultural bonanza of colorful drills and musical dances by the Primary, Middle and Senior school was held which included Yoga and Aerobic performances. Track and field events which included 100m, 200m,4x100m, 800m, relays and theme based races of the Primary students were conducted in a competitive spirit. Kanishak Tomar , Narendra Misra and Suhani Prabhakar were declared the Best Athletes. The day left thrilling memories in the hearts of everyone.